The large backlit LCD displays EC/pH and temperature simultaneously along with icons of stable readings and finished calibrations. 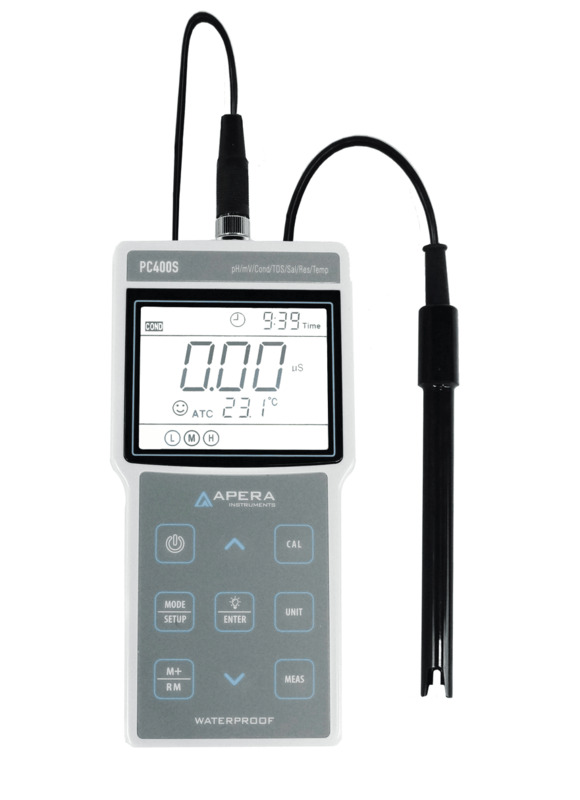 The Apera Instruments PC400S Portable pH/Conductivity Meter Kit provides reliable pH and EC measurements with various intelligent functions and a durable structure. 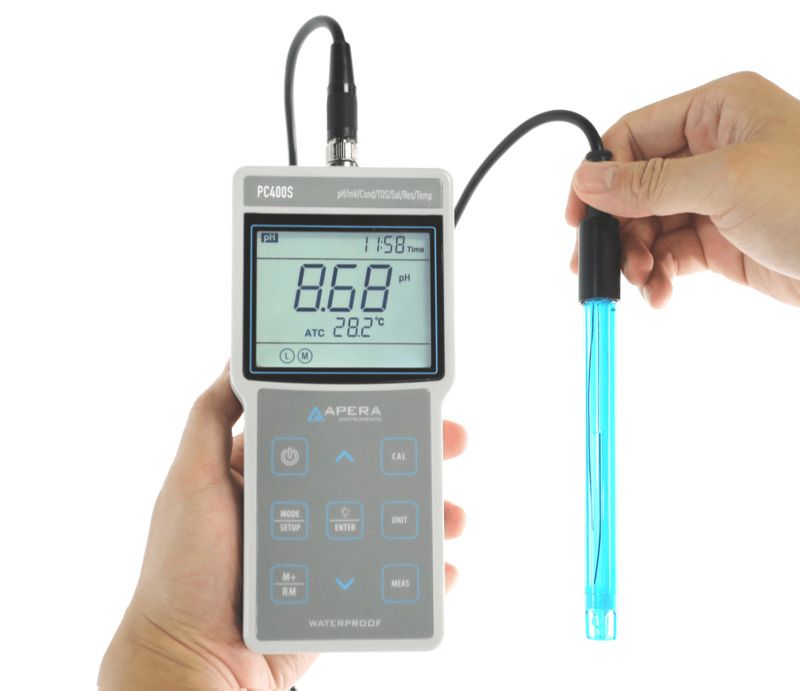 Equipped with Apera’s high quality 201T-S 3-in-1 pH Electrode/Probe and BPB (Brush-Resistant Platinum Black) 2301T-S Conductivity Electrode/Probe, the meter tests pH, EC, TDS, and temperature in a quick and accurate manner. 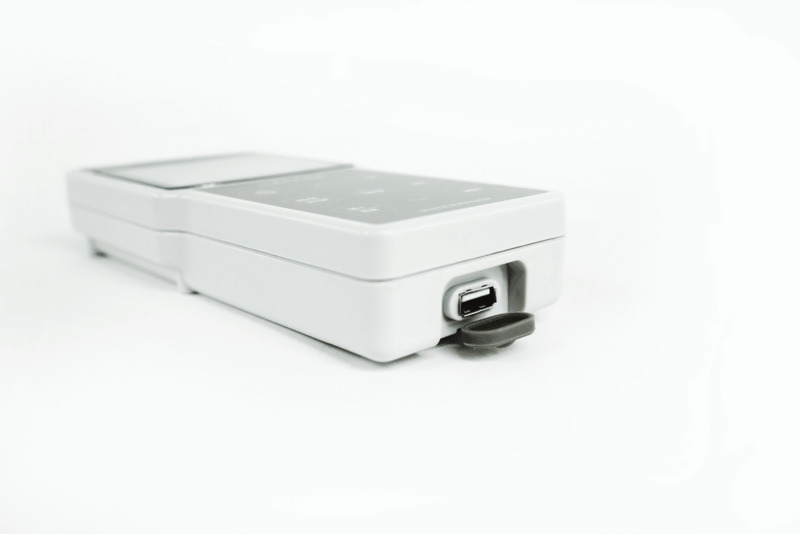 Intelligent Functions: Quick & Easy 1 to 5 Points Auto Calibration. The Smart Self-Diagnosis helps you conduct proper calibrations and determine the condition of your probes. GLP Data management (1000 groups of data storage), USB data output and power supply. Timing measuring/data logging mode and Smart calibration reminder function available. Purified water and ammonia-added purified water measuring modes available. The large clear LCD displays pH/EC and temperature simultaneously along with icons of stable readings and finished calibrations. Reliable Structure: IP57 Waterproof and Dustproof, ideal for use in harsh environments. 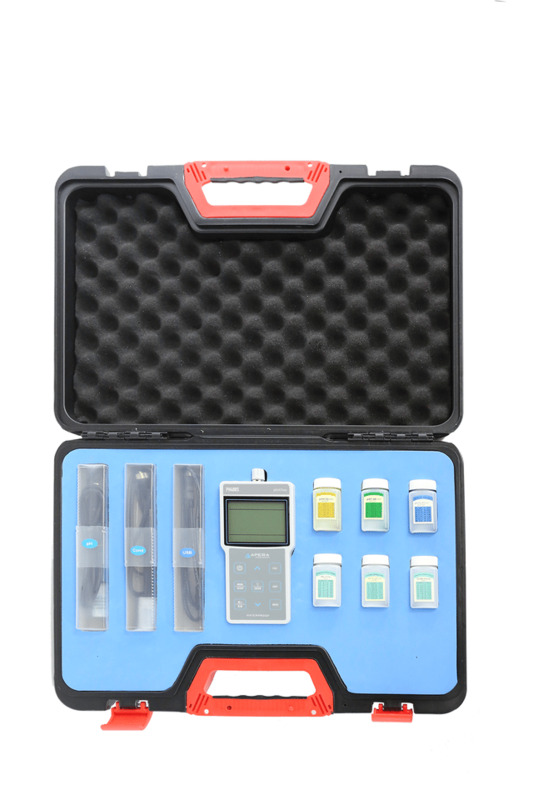 It comes with a complete test kit including a meter, a pH electrode, a conductivity electrode, a USB cable, PC-Link Software Disk (only works for a Windows-based system), and 6 bottles of calibration solutions all in a rugged carrying case. Powered by AA Batteries. Two-Year warranty for the meter. CE certified. Meter: (7.8*3.4*1.25) inches / 12 oz. 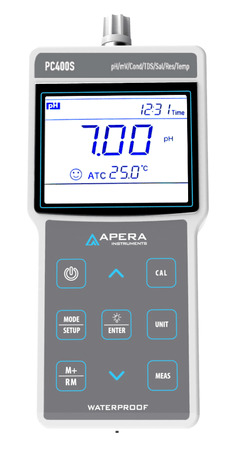 We warrant this instrument to be free from defects in material and workmanship and agree to repair or replace free of charge, at option of APERA INSTRUMENTS, LLC, any malfunctioned or damaged product attributable to responsibility of APERA INSTRUMENTS, LLC for a period of TWO YEARS for the instrument and SIX MONTHS for the probes from the delivery.